Once you throw this ball you'll never go back. There's something about the whistle that makes this ball fun for both pooch and owner. 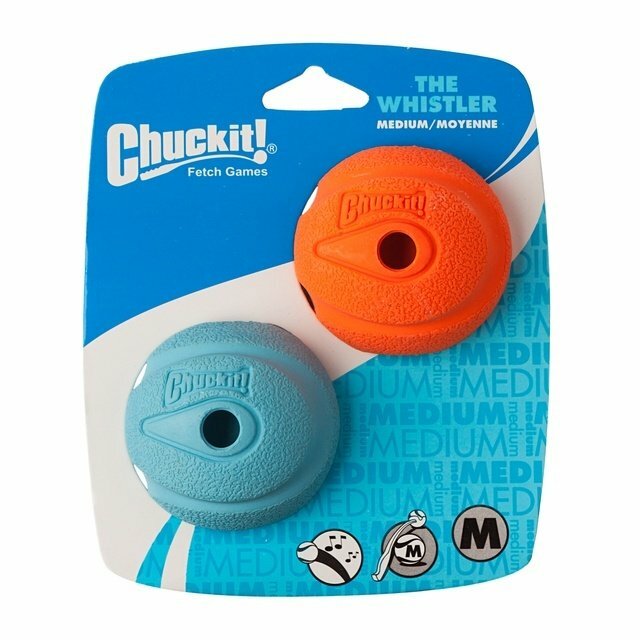 Each pack contains 2 balls, 1 blue and 1 orange.